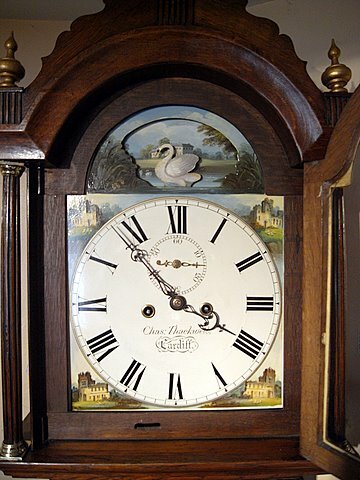 An attractive automata oak longcase circa 1850. Two train eight day movement with a bell strike. Decorated arch dial inscribed Chas Thackwell, Cardiff. To the arch is a scene with a rocking swan in a lake. Height 85".